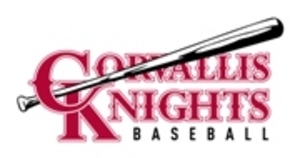 Portland, Oregon, November 20, 2006- Knights Baseball Club, Inc. announced that the Aloha Knights of the West Coast Collegiate Baseball League (WCCBL) are moving to Corvallis, Oregon. The club signed a lease agreement with Oregon State University earlier this month and will play this summer at Goss Stadium at Coleman Field, the home of the 2006 national champion Beavers. The organization also announced plans to change its name to the Corvallis Knights and unveiled an updated identity. The team played its last seven seasons at Mt. Hood Community College in Gresham, Oregon. The club is sponsored by Penny Knight, the wife of Nike Chairman Phil Knight. Established in 1990 by co-founders Dan and Joe Segel, the Aloha Knights won the 70th NBC World Series in 2004, a summer national championship held in Wichita, Kansas. That team featured Oregon State stars Nate Fogle, Kevin Gunderson and Andy Jenkins. "I'm thrilled for the community," said Oregon State Head Baseball Coach Pat Casey. "The Knights are a first-class organization and are going to put on a great show this summer. We are pleased to partner with a like-minded group like the Knights. I'm confident they will enrich our community and better baseball here and in the Valley." 37 Oregon State Beavers have spent summers with the club including College World Series heroes Kevin Gunderson, Bill Rowe and Daniel Turpen. "We are great admirers of Coach Casey's program and are delighted to call Corvallis our new home," said club sponsor Penny Knight. "We appreciate Pat's support and are excited to begin a new era at Goss Stadium." Former Richey's Market American Legion player and assistant coach Brooke Knight is the Corvallis Knights acting General Manager. Knight, no relation to Phil and Penny Knight, grew up in Corvallis and attended Crescent Valley High School and OSU. "Corvallis is the perfect place for a team like the Knights," said Brooke. 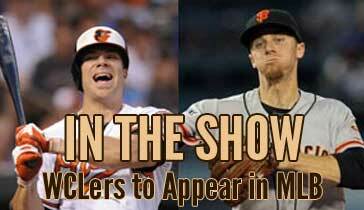 "Being a native, I think the community will enjoy coming out to Goss in the summer. My sense is they are going to embrace what we have to offer, which is really more about community than sport." "Our goal is to bring community together at the ballpark," said club president Dan Segel. "We're optimistic we can do just that by offering affordable family fun June through August at Goss. Fans can expect a full slate of entertaining promotions, tasty dogs and cold beer and some good old fashioned wood bat baseball." The Corvallis Knights open at Goss Stadium Thursday, June 14 vs. the Bend Elks. The club's regular season features 26 home dates, 54 games and 42 league contests. To review the team's 2007 schedule visit www.corvallisknights.com. Individual ticket prices are $6 for adults and $4 for children & seniors. Season tickets can be purchased now by calling (541) 752-5656. The WCCBL is dedicated to player development, player exposure and to providing affordable summer entertainment to its member communities.